Schneit es monentan in Grandvalira-Soldeu ?Vielen Dank! 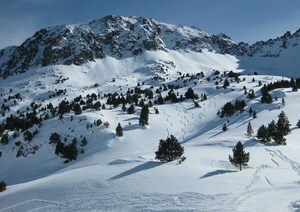 In 2002, Grandvalira-Soldeu, was constituted by Soldeu-El Tarter. Now, the two areas are linked with Grau Roig, Pas de la Casa, Encamp and Canillo. 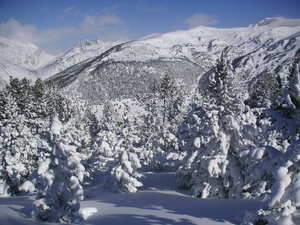 Therefore, there are 6 areas in Andorra called: Grandvalira-Encamp, Grandvalira-Canillo, Grandvalira-El Tarter, Grandvalira-Soldeu, Grandvalira-Pas de la Casa and Grandvalira-Grau Roig. 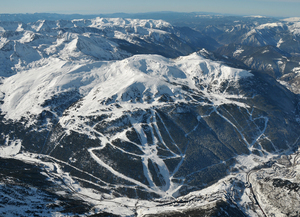 Porte des Neiges, in France, will also join the resort, Grandvalira. Nowadays, there are 7 areas of skiing in the same resort. Despite a fair number of new building projects, Grandvalira-Soldeu (Soldeu- El Tarter) retains a good village atmosphere with several excellent watering holes for apres-ski and a good selection of restaurants (and as Andorra is a duty fee zone prices are very reasonable for a ski resort). Accommodation is good at Grandvalira-Soldeu, from the smart hotels near the gondola at the top of the village to more basic apartments down the road. The skiing itself is varied with some pleasant tree-lined runs down to the resort and wide-open pistes higher up. Grandvalira-Soldeu has an abundance of skiing for beginners and intermediates together with some reasonable challenges on and off-piste for experts. Indeed, due to the English-speaking ski school with it's many native English speaking instructors, Grandvalira-Soldeu (Soldeu-El Tarter) is an ideal place to learn to ski or snowboard or to develop your technique. The statistics are for the whole Grandvalira skiing domain which is now difficult to split into individual resort statistics. Just a few words about Andorra: it is a small state in the Pyrenees mountains between France and Spain. Best connection from Barcelona El Prat airport with directbus every two hours at the price of 34 Euros per person. The trip lasts 3 1/2 hours. 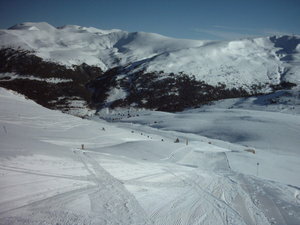 Andorra has two main ski regions. 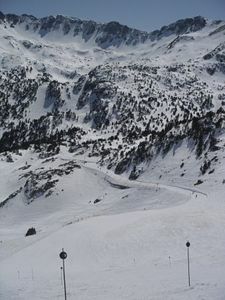 1) Vallnord, which encompasses Pal, Arinsal (these two are interconnected) and Arcalis, and 2) Grandvalira, which encompasses six interconnected ski areas (Encamp, Canillo, El Tarter, Soldeu, Crau Roig and Pas de La Casa). Well, skiing in Grandvalira is fantastic. I was there on Friday, 15th February 2019. The ticket is expensive, thus 51 Euro for a full day, but it offers unlimited options. I skied 5 hours non-stop and have not managed to ski maybe even half of the pistes. I did not have time to look at the map. I just skied where it happened to go! 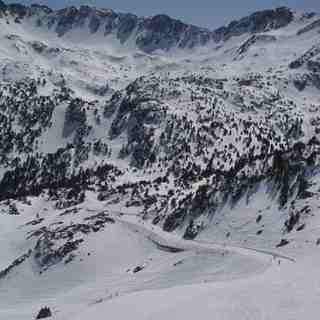 For an advanced skier the Grandvalira area is perfect. It consists mostly of blue and red runs. I have found some of the red runs rather blue, like Isard. On the other hand, Obagot was a true red, although short. The black Mirador was really easy, as the snow has been softened because of the sun and was cut like butter! Some of the pistes are in pine forest, but most of them. Especially the ones in higher altitude; they are treeless. The lift system is really efficient. It was quite busy, but there were almost no queues with the exception of Cubil lift, when I wanted to return back to Soldeu at 16:00. I was afraid of high temperatures, as on the base the temperature was 6 degrees above Celsius. However, the snow kept in fantastic condition. 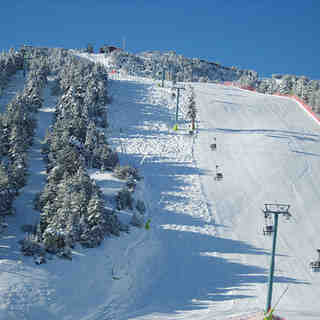 I think Grandvalira is a great place not only to learn how to ski but also to improve your skiing skills. The only drawbacks is Andorra itself, as it lacks charm and it is outside European Union (which means expensive phone calls and very expensive data) and the capital is quite boring. Also, a major issue is the traffic. The bus took 90 min. from Soldeu to Andorra La Vella at 17:00, which is less than 20km distance! However, I did not regret to visit to Andorra, as skiing there was fantastic and I look forward to visiting it again in the future to enjoy skiing there more. Lesen Sie 32 andere Beurteilungen ueber Grandvalira-Soldeu oder geben Sie Ihre eigene Bewertung ab.